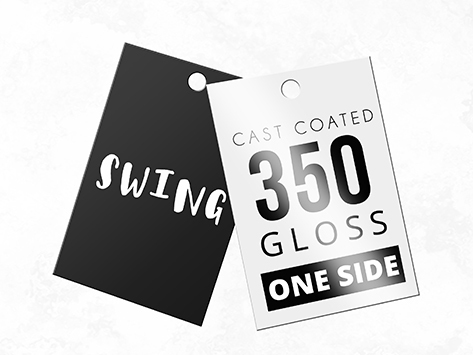 Are you looking for a Swing Tag with a glossy front but uncoated back? Look no further than our 350gsm Cast Coated Artboard with Gloss One Side. It's the perfect stock if you're looking for something with a classic gloss finish on the front but with the practicality of an uncoated back for writing or stamping.